Giftbox wit 6 guestsoaps. Lavender, Jasmin rice, Rosemary, Pineapple, Aloe Vera and Black Rice. Fairtrade form Thailand. Yellow giftbox with 4 guestsoaps. Lavender, Jasmin rice, Rosemary, Pineapple, pieces of 50 gram, 4 x 5 cm. Fairtrade form Thailand. Blue giftbox with 4 guestsoaps in fish shape. Lavender, Jasmin rice, Rosemary, Pineapple, pieces of 50 gram, 4 x 5 cm. Fairtrade form Thailand. Paper giftbox with 6 green guestsoaps in flower shape. With Thanks-label. Fairtrade form Thailand. Decorative hanger with natural soap, beads and spices 45 cm. In heart, star of shell shape. Fair trade, handmade in Thailand. 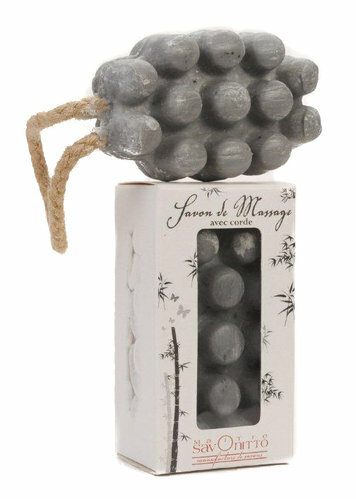 Decorative hanger with natural soap, beads ,45 cm. With heart shaped soap and beads. Fair trade, handmade in Thailand. Soap on a rope. 80 grams of assorted natual soap in pastel colours. Length 10 cm. White decorative soap Baroc, natural soap with lin blossom. Good for allergic skin. Weight 110 grams. Hand milled soap on a rope. 7x6x3cm. Fair trade from Thailand. 7x6 cm.Natural soap. Red jasmin soap in heart shape on a rope. 8 x7 x 4 cm. Fair trade from Thailand by Soap-n-Scent. Soap galet. Weight 90 gram. +/- 8x5 cm. Black Rice fragrance. With coconut and palm oil. Handmade and fair trade from Thailand. 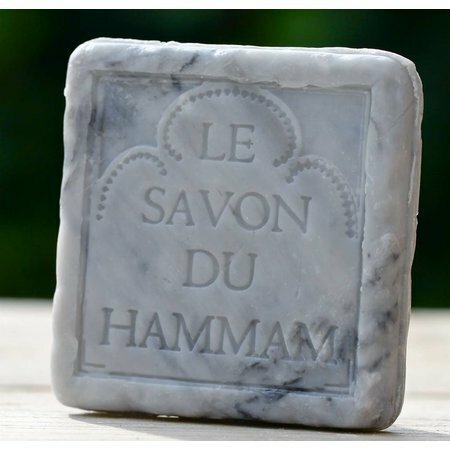 NIce tin with cube of Savon de Marseille. 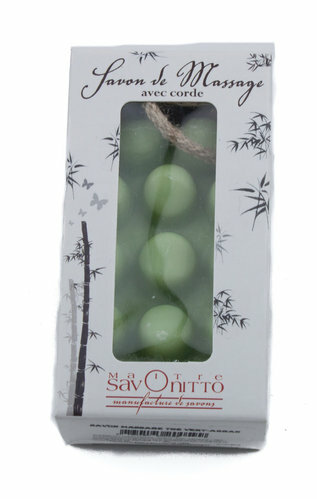 Green soap with olive oil. Weight: 300 grams. 7 x 7 x7 cm. Natural soap without preservatives. 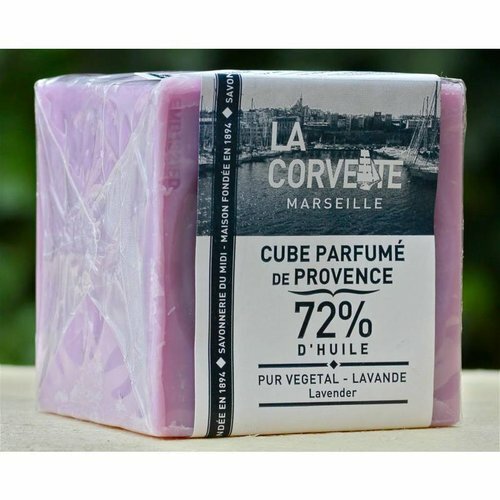 Savon de Marseille. Cube in lilac (Lavender) Weight: 300 grams. 7 x 7 x7 cm. Natural soap without preservatives. Organic handsoap with arganoil. 100 grams. Rich on proteins, soothes the skin. In nice tin.